Make It Bikeable: Bicyclists, Please Stop! This goes out to the bicyclist that chased me down Brooklyn Bridge Rd this morning. 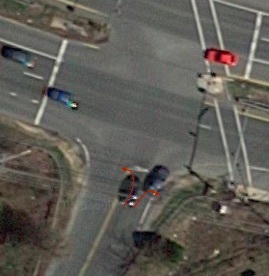 The intersection of Montgomery St and 8th St in Laurel is a 4-way stop. Don't blow through this intersection while I'm stopped with my foot down and checking for cars. You make all bicyclists look like scofflaws. It's that simple.